New Orleans As we have looked at the effort of the United Food and Commercial Workers’ avowed aim over recent years to organize Walmart using various strategies, many of them based on our own earlier work, and some breaking new and different ground with OUR Walmart in mobilizing actions using the internet and launching mini-strikes with maximum publicity, our consistent counsel has been that this all could work, if (big if!) the UFCW was committed finally to supporting this campaign for the ten to twenty years it would take to win against the dominant employer in the retail sector and the largest private sector employer in the country. The verdict seems to finally be emerging publicly, that many of us have feared continually, and it is not promising for either workers at Walmart or the necessity for new and innovative organizing strategies and models. David Moberg, the long-time labor reporter for In These Times, finally broke the news publicly in a recent piece called, “Which Way OUR Walmart?,” that many observers had feared was inevitable especially in light of recent developments. Joe Hansen, International President of UFCW, had retired at the end of last year. Hansen had been a grudging, but fair and open-minded, supporter of our Walmart projects in 2005, though zealous of protecting the jurisdiction and tight fisted financially, forcing SEIU and the AFL-CIO to pay for us to establish the “proof of concept.” Internal labor politics around the split within the federation, hurt feelings around SEIU’s embrace of Walmart on healthcare reform, and general turf concerns, rather than the organizing results, most of which argued that our organizing strategies were working, made that project collateral damage with only the anti-FDI efforts in India surviving another decade. 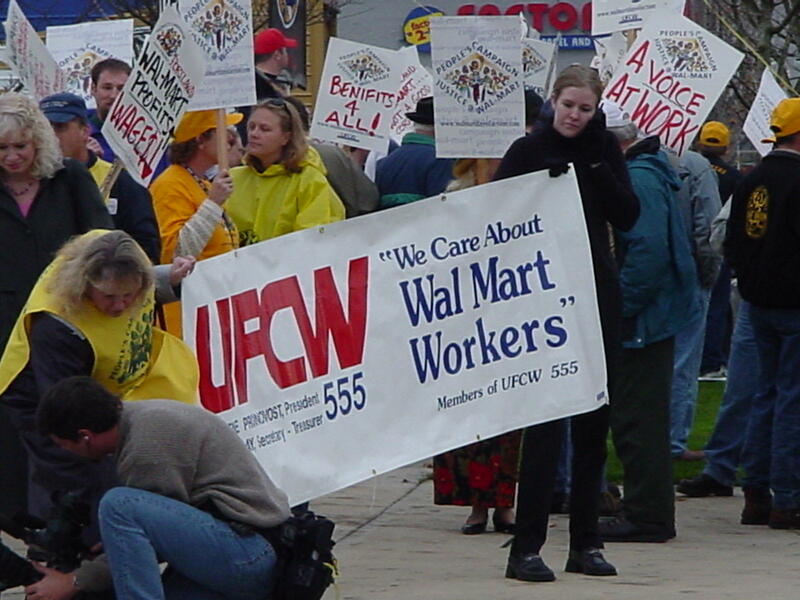 To his credit though once his grip on the union consolidated, he led the UFCW to expand the Walmart initiative, hired talented organizers like Dan Schlademan and Andrea Delhendorf, both formerly of SEIU to make it happen. 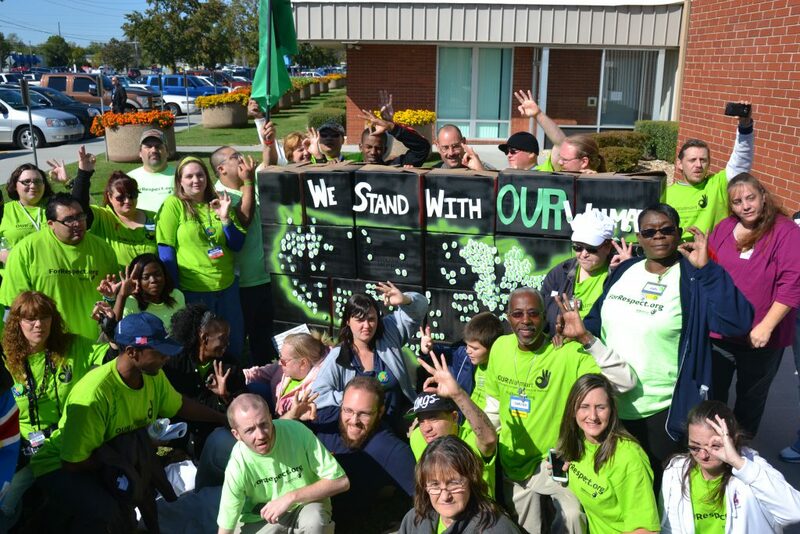 From 2010 through 2014 the UFCW pumped up to $7 million a year into the effort. People get confused. We may talk about a labor movement, but unions are not movements. They are highly political membership organizations, where existing, dues-paying members elect the leaders and pay the local union bills and those same officers. This is different from “likes” or press notices or attaboys. Every project like this whether to organize an industry giant like Walmart, fight for equality, or a $15 an hour raise has a hard “use by” expiration date, unless they end up increasing membership. A new leader of the UFCW now has the same problem that Hansen did a decade ago. He has to satisfy the leaders and power blocks that swept him into office, and they want more members now in their own unions. So Schlademan is out. The budget is on the chopping block. Trial balloons are being floated about redirecting organizing and resources. There will always be something that waves a banner or a sign at Walmart, but this has the smell of death and finality all over it down to the fact that private donors and foundations have stepped in to keep OUR Walmart breathing a little longer. That worked for us another year or so after the plug was pulled too, but these donors will move to a new flavor even faster than union leaders did, and they will never put down the dollars that the UFCW invested, and that will continue to be needed to organize a company as huge and powerful as Walmart. Déjà vu is painful and sad, particularly for the workers, not just at Walmart, but throughout the economy who continue to suffer and dream and be willing to fight, if given the opportunity, for a real voice and a real organization to advance their interests and give them voice on the job. Meanwhile Walmart walks away again, maybe a wee bit wiser, but without an organized workforce, whatever lessons they may have learned in recent years, will be quickly forgotten.